Campers choose 4 activities that they participate in each day of the week. These selectable activities occur during the four activity periods a day. At Cub Creek these main camp activities are divided into "Courses" and "Classes". 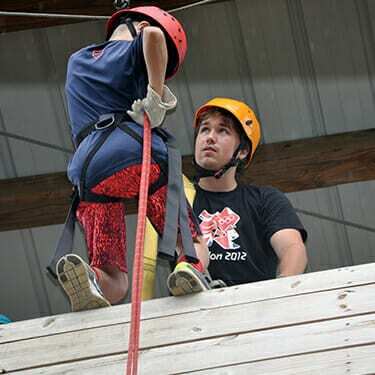 COURSES - Our courses are weeklong activities that campers participate in each day of the week. You will see all Courses are denoted using the icon to the left. Each camper chooses two courses while they are at camp. CLASSES - Camp's classes are hour-long activities that campers choose daily. You will see all Classes are denoted using the icon to the left. Campers will choose two classes to take each day they are at camp, allowing them up to ten classes each week. Camp offers a HUGE variety of activities! We believe that interests drives curiosity, and curiosity inspires learning. So we have built our program around the concept of curiosity guided learning. This all starts with offering our campers lots of activity choices to be sure that each activity begins with their interest. Activities are chosen by campers on the first day of camp during their tour on Sunday. While activities aren't chosen prior to camp, it is a good idea to go through our course and class choices prior to attending. Making a list of favorite activities, and bringing it to camp, makes picking courses and classes a much easier. This also helps ensure that campers get into the activities that they really want! We are an animal camp all about up close, personal, interactions with animals. Feed a grape to a lemur or sing with a parrot. Take an alpaca for a walk or play fetch with a fox. 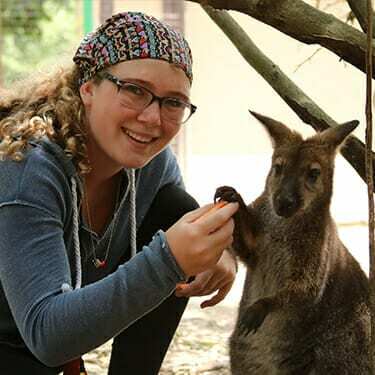 Our campers have incredible encounters with our camp animal family and enrich the lives of our critters in return. Learn more about our animals and our two most popular animal courses: Jr. Vet and Adopt an Animal. Because animals are so popular here our animal activities have guaranteed space for everyone! At Cub Creek Science Camp, science is everywhere! Physics at the Ropes Course, chemistry in the kitchen, zoology in the animal area, and geology in our gemstone quarry. Our interactive science activities help spark interest in the sciences and reinforce that science is fun! Cub Creek is not just a Science Camp; We are also an Adventure Camp. What would summer camp be without adventure based activities?! 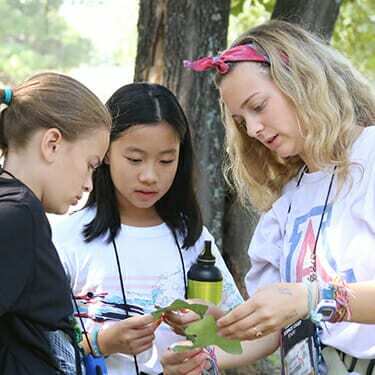 Archery, Riflery, Ropes Course, Survival Skills and Spelunking are all a part of the adventure programs offered at camp. Be sure to check out all the adventures that are waiting for you here. Campers could spend a whole summer enjoying just the arts and crafts activities at Cub Creek! We offer many tradition camp crafts like friendship bracelet and tie dye. But we also offer activities that are in the arts that require developing one's skills. 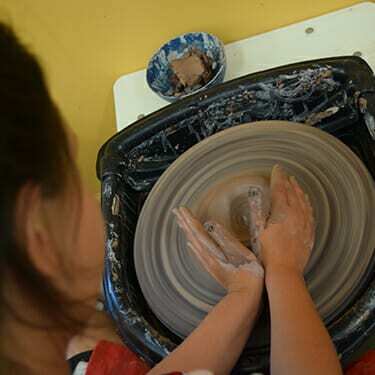 These include pottery, ceramics, culinary arts and photography. Make some amazing creations this summer in our arts and crafts studios. A mission of camp, is to inspire the next generation to do better at taking care of our environment than we are doing now. We believe that starts by growing a compassion and understanding for nature. 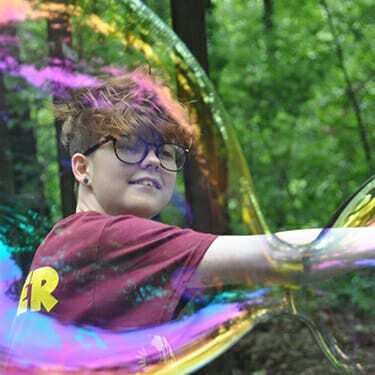 Cub Creek is a nature camp with hiking trails that explore the diverse Missouri landscapes, different trees and plants to inspire learning, and native creatures that make us realize how much of an impact we make on the earth every day. Over the years we’ve created classes that are camp staples! But they don’t fit into the mold of any of the camp categories. 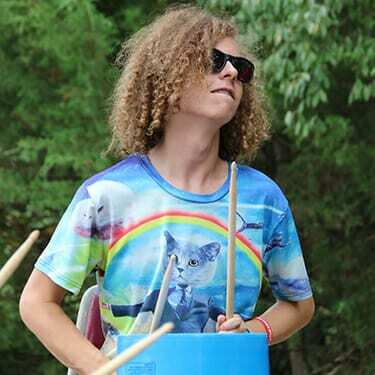 These fun and innovative classes were created to offer campers something different. What’s even more awesome, is that there are always new classes created each summer, that are based around the creativity of our summer camp staff!